This delicious wholemeal pikelet packed with scrumptious apricot chunks makes a perfect breakfast food, lunchbox snack, or snack throughout the day. 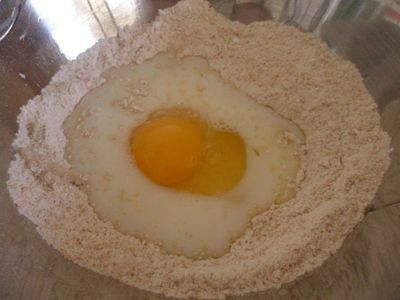 Add the egg and milk to the flour mixture. 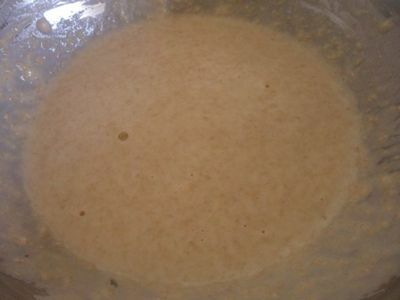 Whisk to combine, until the mixture becomes smooth. Drain the tinned apricot halves, or slice fresh apricots in half. 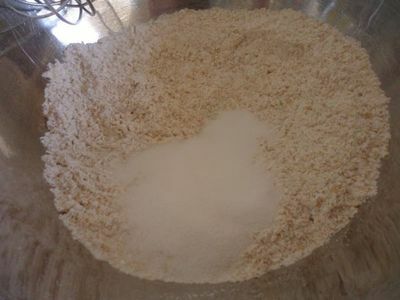 Chop the apricots into small pieces, about half a centimeter square. 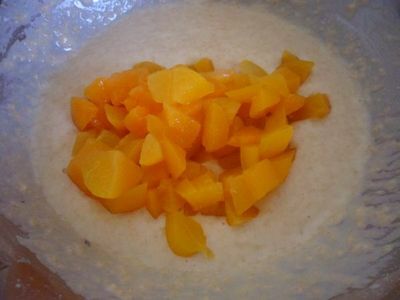 Fold the apricot pieces into the pikelet batter. Heat some oil or butter on a frying pan over medium heat. 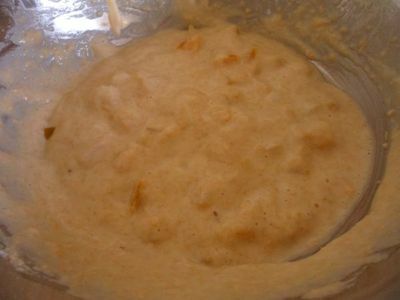 Spoon 3 or 4 lots of 1-2 tablespoons worth of batter at a time into the frying pan. 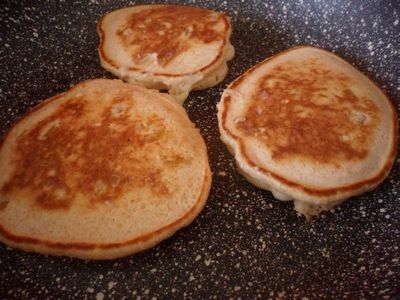 Cook the pikelets in batches of 3 or 4 at a time. 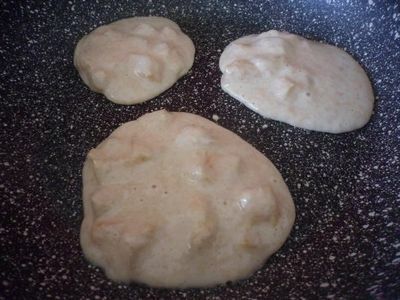 Cook on one side for 1-2 minutes, or until bubbles begin to appear on the surface. Then flip. Cook on the other side for a further 1-2 minutes until golden and cooked through. 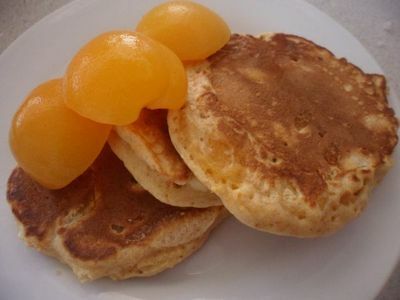 After each batch is cooked, place the pikelets on a plate layered with a napkin or paper towel. Cover the plate with silver foil and set aside. The paper towel will help prevent your pikelets from becoming soggy, and the foil will help keep them warm while making the other batches. Franklin and Bash Season 4 Episode 8 "Falcon's nest"